South African Tourism has developed an electronic business platform which provides capability to disseminate information on South Africa and travel to South Africa to interested parties. This policy is applicable to all users who make use of the South African Tourism websites and call centre. To assure all users of the South African Tourism Websites (SATWs) and call centre of the protection of their personal data. Users: stakeholders or any person making use of the SATWs or call centre. Contact information for stakeholders seeking information is collected in order for us to contact that person to provide information about our services. This information may be stored on our servers in South Africa. Such information is usually deleted as space requires or in the normal course of business, but can be amended or deleted upon request. To review, amend, or delete user information, contact travel@southafrica.net. Users are required to provide their name, contact information and the approximate dates they visited the websites and/or called the call centre. Contact information, such as user name, address, telephone number, or email address, for consumers, investors or customers with questions, concerns, complaints, inquiries, requests for information or technical support questions, is used to respond to the request for information. This information may be stored on our servers in South Africa. Such information is usually deleted as space requires or in the normal course of business, but can be amended or deleted upon request. To review, amend, or delete user information, contact travel@southafrica.net . Users are required to provide their name, contact information and the approximate dates they visited the websites and/or called the call centre. When signing up for an email newsletter or alert at the websites, South African Tourism will use that address to deliver the email newsletter that has been requested. To review or delete user information or to opt-out of any newsletter, contact travel@southafrica.net. The SATWs may use persistent cookies, clear GIFs and log file information (such as Internet Protocol Address and referring URLs) about user activity at this site in order to understand website usage and to resolve any problems, for example, in navigation thus enhancing the user experience at this site. Information about those cookies or website usage is not combined with either any ad-serving cookies or email cookies nor is information about the cookie or log file information linked with any personal information a user may have provided at the website/s. In addition, South African Tourism may serve ads on its websites. In doing so our ad server will place or read a unique ad-serving cookie on a user’s computer and will use non-personal information about the user’s browser and activity at this site to serve ads to them on this and other sites. If a user has visited this site by clicking on a banner ad for our products and services, a temporary or "session" cookie may be set on the user’s browser. This cookie will contain either an identification number for the ad that was clicked on, or will contain an identification number for the site that was visited when the user clicked on the banner ad. After the user has arrived at any of the SATWs, and requests further information from South African Tourism about their products and services, the personal information provided during that request will be linked to the information in the session cookie so that South African Tourism’s Marketing Department can measure the effectiveness of the advertising. This "linking" will not be used to target future advertisements to the user or to send the user emails about future goods and services, unless indicated by the user on the product request page. As this is a session cookie, it will disappear from the user’s cookie folder once the browser has been closed. If the user returns to the site via one of South African Tourism ads, they will appear as a new visitor until they provide further personal information. South African Tourism may provide users’ information to their agents, or their agents may collect information from users on their behalf if South African Tourism has contracted with a third party to provide some part of the information or service that the user has requested. By written agreement, these agents are required to implement similar security measures and will process user information only as authorized by South African Tourism to fulfil the service that they have been contracted to provide. Other than agents who act on South African Tourism's behalf, information provided by users at this site will not be transferred to unrelated third parties, unless South African Tourism has a user’s permission to do so. Personal information provided to this site is subject to disclosure pursuant to judicial or other government subpoenas, warrants or orders. South African Tourism may amend this policy from time to time. Notification to users will be made by posting a prominent announcement on our website pages if changes are made in the way personal information is used. For questions or concerns about the information collected or used at this site, please contact travel@southafrica.net. South African Tourism engages third parties that help it deliver its banner advertisements and other online communications. The third parties may collect and use information about South African Tourism's customers to help us understand the offers, promotions, and types of advertising that are most appealing to its customers. The personal information they collect is aggregated and cannot be linked to a person. If you do not wish your personal information to be used in this way, please notify us. 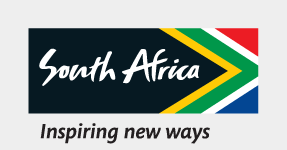 SATW: South African Tourism Websites including all consumer and trade-related websites.